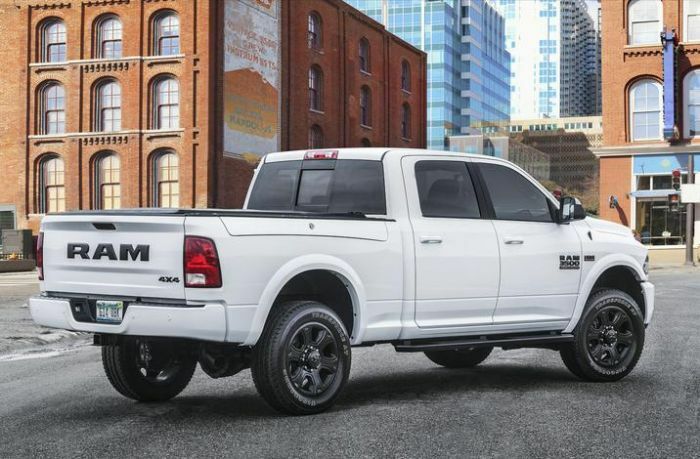 The new owner of a 2018 Ram 2500 Diesel is concerned about the lag in his truck's acceleration. The owner of a 2018 Ram 2500 diesel is concerned about what he perceives as a lag in the throttle. AMX says he understands that the truck won’t accelerate like his old gasoline powered trucks, but he thinks that something is truly wrong. AMX writes “I have owned my new 2018 2500 Ram Limited diesel for about 2 weeks. I have owned many ram trucks but prior to this but they were all gas engines. I am having trouble getting used to the lack of throttle response when you need it. We have heavy traffic on my drive to work on the hwy. Having to change lanes now takes some planning as the truck just does not respond like I am used to with the Hemi and 3.92 gears. Do the throttle interfaces out there really work and which one is best? Once it gets moving, acceleration is fine but the lag for it to respond is just ridiculous. It’s like you hit the gas and it doesn't go for at least couple seconds and by that time, the guy in the next lane I should have not impeded is now right on my bumper. It seems dangerous to me for it to act this way. When I hit the throttle, I want it to go, not think about it for a while and then go.” I’m sure it is scary for AMX especially in a highway situation. AMX did not indicate what he has decided to do about his throttle lag. Nor did he suggest which of the boosters he is tempted to go with. It will be interesting to see if he does add one and how well it solves his problem. They call it torque management. Programming in the computer to limit power to protect the transmission. Some of us Cummins owners called it the dead pedal. Drove me nuts and could be very dangerous in certain situations. A guy I know runs the bd throttle booster on his Cummins and loves it. Try this trick to program the trucks stock ECU when it is safe to do so on road: by going 40 to 45 miles/h holding the brake with one foot and pressing the gas with the other trying to keep the speed constant when under brake load for about 10 to 15 seconds; you might need to keep transmission in a manual mode at an acceptable gear range. This tricks the ECU to map itself very quickly and give you the best performance it can offer. Be sure you fill up with best quality diesel if you can before this trick. This should increase the throttle response to any turbo vehicle with self learning ECU. I have tried this on my manual Subaru WRX turbo and it worked very well. Hope the same applies to these diesel trucks. I own a 2013 Ram 2500 diesel which has the "dead/death pedal" issue. Installed the BD booster set at 100% and the acceleration is amazing however, it does nothing for the dead pedal issue. Taking it to the dealer tomorrow for the T79 recall and I'm going to have them check the dead pedal issue. I've seen on other forums that dealers found DTC error codes and applied updates that fixed the problem. I had a 16 3500 with the aisin transmission and air suspension. I loved that truck except for the death pedal issue. I fought with Ram for 2 months with it they wouldn't take it back even though the service guys and service manager said it was unsafe and wouldn't drive it for a weekend. Owned 9 cummins trucks in last 20 years all for towing 15,000-20,000 lbs daily, will never buy a ram again after that truck I simply couldn't drive it safely (had multiply close calls) i lost $20,000 on that truck in 17,000 miles. Bought a power stroke and am way happier than with a Ram the power is incredible compared to a neutered cummins with torque management. Its not cummins fault just Rams that they can't build a trans to hold up.